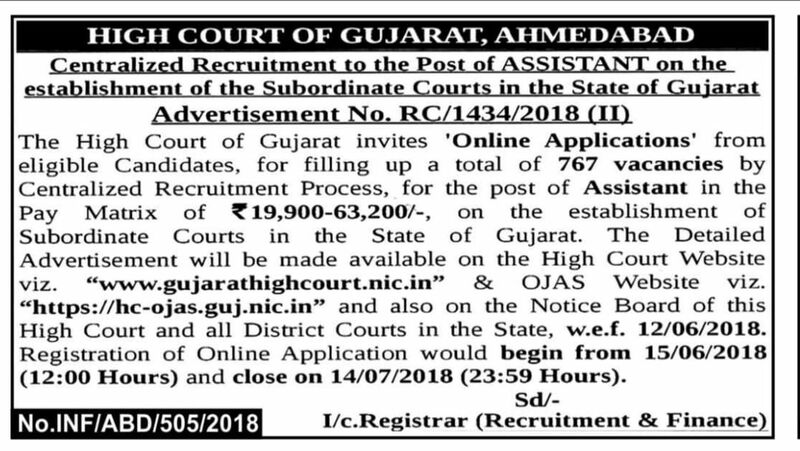 High Court Of Gujarat has published an Advertisement for below mentioned Posts 2018. What is the qualification for assistant clerk of Gujarat high court? Full notification declare on 13 june. .